Last one. Whew. 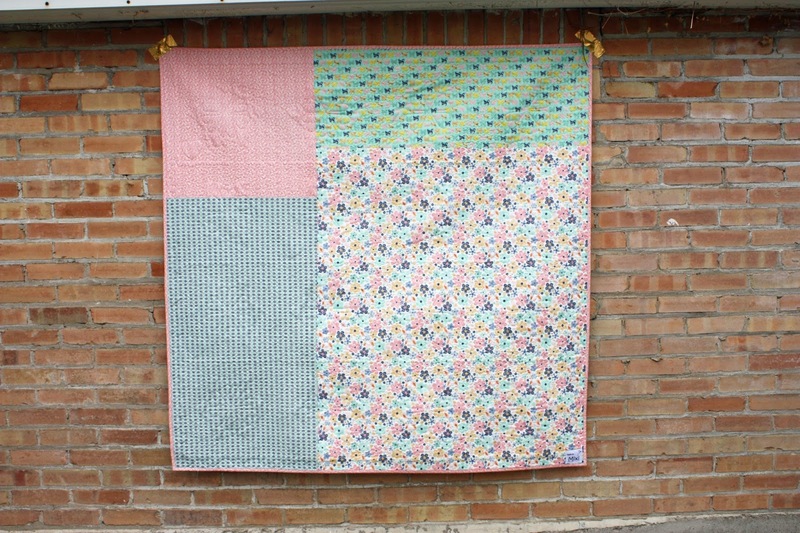 This is the fourth project I needed to make for Quilt Market. 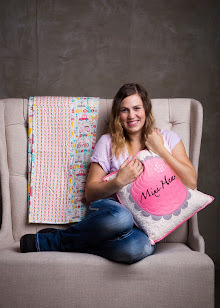 These fabrics are Riley Blake's A Beautiful Thing by Zoe Pearn. They were so precious. Below I will point out my favorite prints and details. 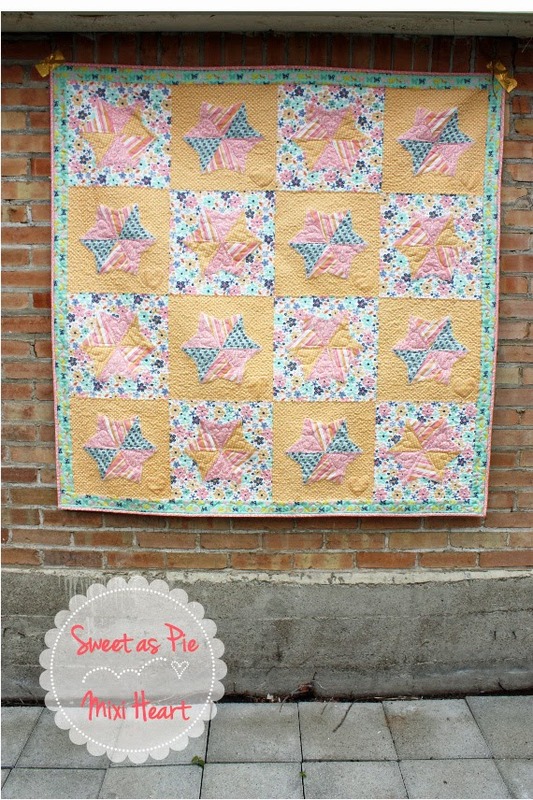 This Quilt "Sweet as Pie" includes a template to create the pie-plates. It also has a touch of embroidery with a running stitched heart. 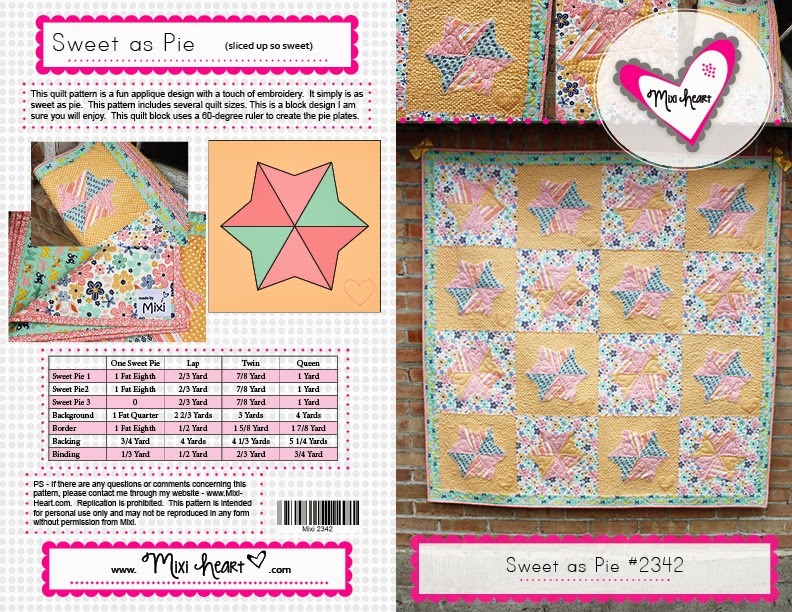 The pattern includes cutting instructions and layout illustrations for multiple sizes. It is very easy to read and very easy to make. This pattern is available in my Etsy as well as from my pattern shop. 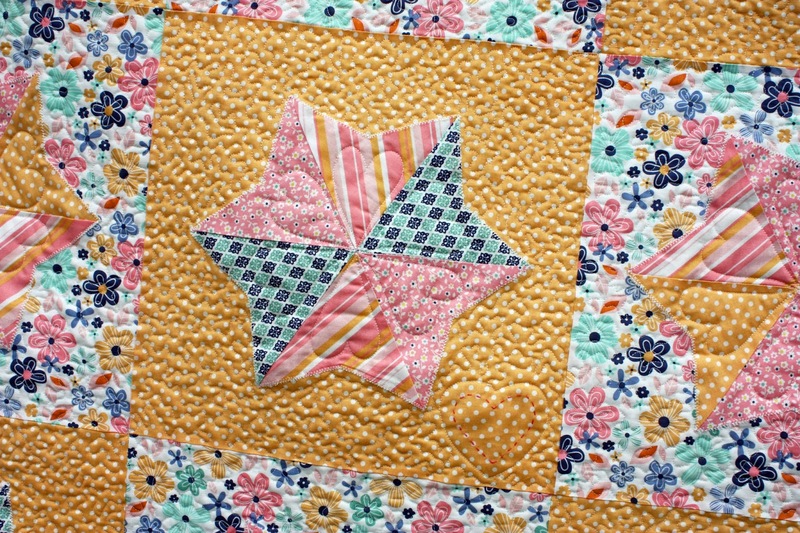 This quilt is all about the details. I have to confess that I haven't made a real pie from scratch. I know it is a little embarrassing. I have my favorite pies list. I'll just throw some out there because it is too hard to put them in a line-up : banana cream, strawberry rhubarb, pumpkin, Cheesecake (okay I guess my list isn't that impressive because I am a cheesecake girl and I don't even think that cheesecake counts). 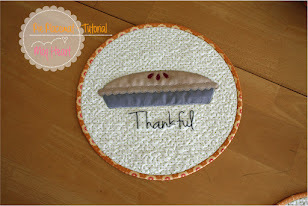 These pie plates are fast to make unlike a real pie, and then once appliquéd add such fun delicious slices. 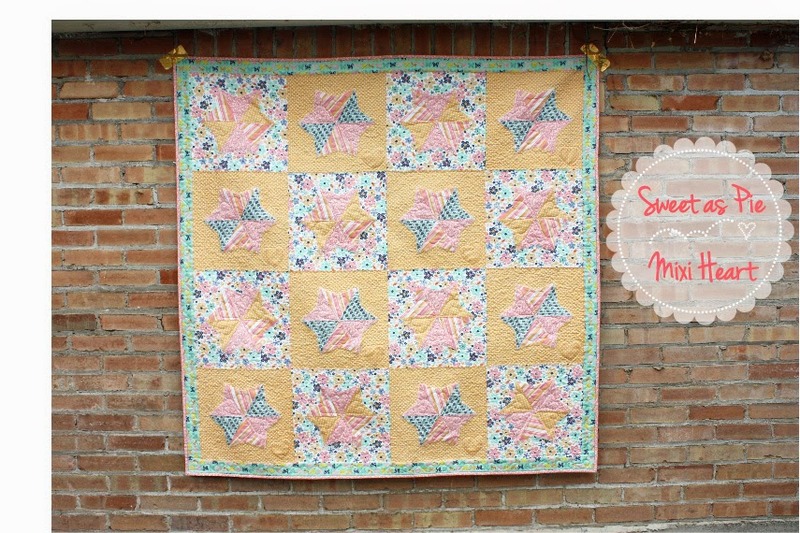 I think this would make a really cute scrappy quilt too. 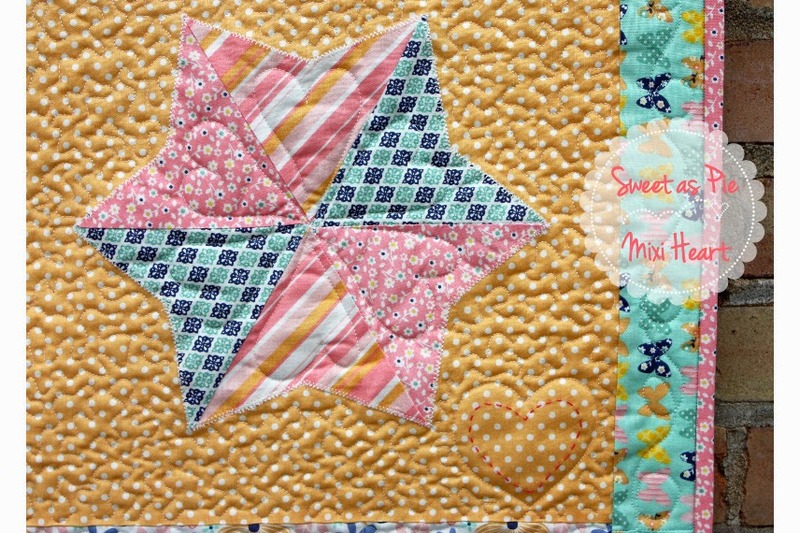 Think of all the delicious fabrics mixed all together! Here is the pie plate close up. I wasn't going to custom quilt this quilt. I was going to use an all over design. I am very happy I decided to stipple around the plates and add the hearts in the pie and I have to give credit to my sweet friend Katie it was her idea. It also makes the embroidery stand out. I like using a running stitch because it is very simple and fast. 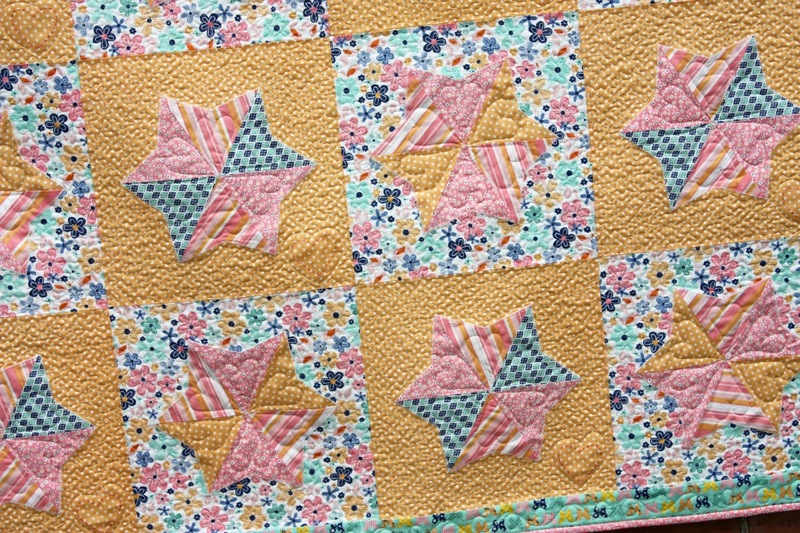 I guess this quilt has a theme here (simple and fast). Back to the fabrics. My favorite print is easy to spot in the picture above. It is the butterfly border. It also is used in the backing. I love it because my new favorite trend in fabric is putting a design in a design. I know it doesn't make sense when I say it. 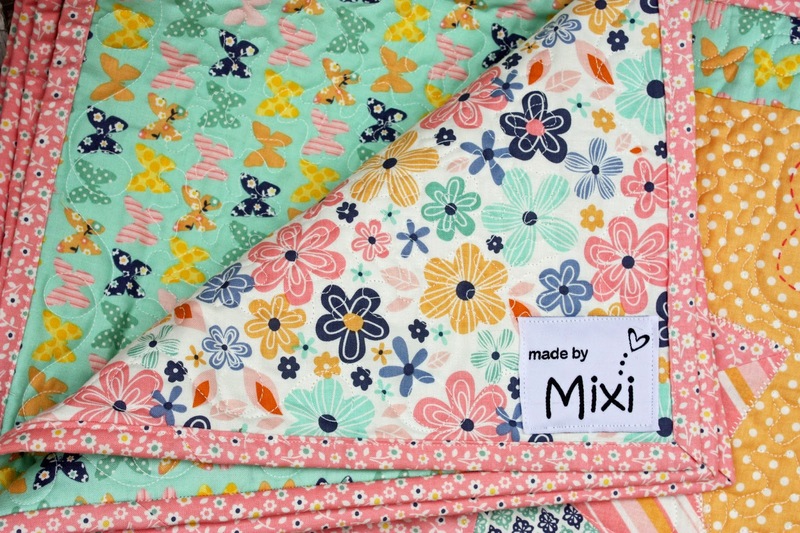 What I mean is the cute little butterfly in the border has it's own little floral print inside. I just love that. It is so subtle and cute. My favorite right now. The backing was some of the cute prints left. Oh… there is my favorite print again. So cute all bound.